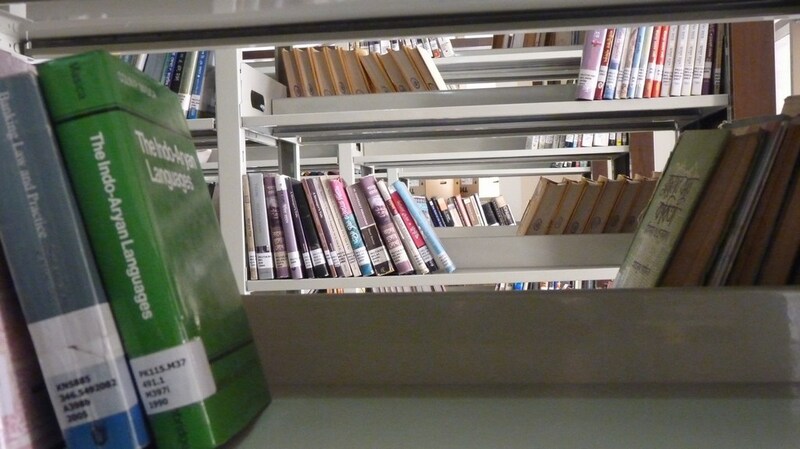 Home › Culture › Library and Formal Education: Friends or Foes? Library and Formal Education: Friends or Foes? 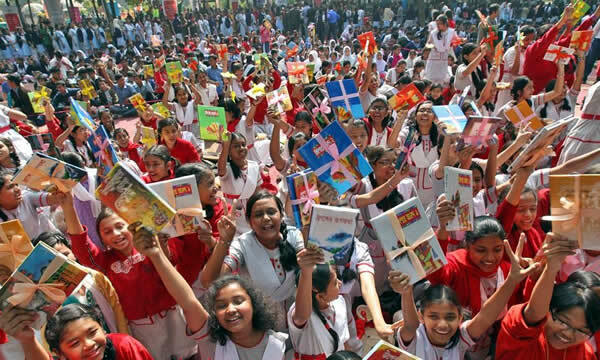 In 1912, Promoth Choudhury – the acclaimed writer, critic and close acquaintance of Nobel Laureate Rabindranath Tagore said, “Libraries are more important to the education system than the institutions such as schools, colleges and universities.” Many contemporary educationists attest to his views. In his opinion, the formal education system does no more than constricting the freedom of knowledge, forcing human cognition inside a vicious framework. His allegedly ‘outrageous’ claim has been accepted as a bitter truth and it has been proven time and time again and most recently through the devising of the ‘Srijonsheel questions’ (creative questions) by the National Curriculum and Textbook Board to combat the making of drones who can merely pass exams. However, a pithy question pattern cannot do damage control for an injury that has instilled itself in the minds of students and professionals for decades. Promoth Choudhury (along with Tagore) suggested that it is the ‘Libraries’ that can come as saviours to such damages. The claim appears to be true for the 21st century just as much as it was at the beginning of the 1900s. The utopian idea that libraries are going to solve all our educational problems is by far a farfetched claim given the practicalities of the vicious education framework at play. We, indeed, do need degrees to get jobs or get into a good school for higher studies no matter how enlightened or otherwise we are. But not all hopes are lost. Dhaka offers several solutions to the enlightened citizen but the responses to such initiatives seldom get immense support. Sure, we are all praises about ‘Ekushey Boi Mela’ but later; we go back to our accustomed framework of textbooks or jobs. Then again, initiatives for elucidating the proper aim of education are not at halt in Bangladesh. Universities are the home of higher education all over the world and they are probably the epitome of what education stands for. Bangladesh hosts one of the oldest and most prestigious universities of all of Asia – University of Dhaka (often called the Oxford of the East). Besides public universities, today, we have a plethora of private universities and they have risen above most scepticism by the critics to produce splendid professionals. However, the topic at hand is not the university but that part of the university that come as a ‘sideshow’ of the institution – the library. You will find the praises of how big a library a university has in the brochures, but the relevance of which begs some burning questions. If a university hosts a huge library with millions of books but no one uses them then what is the use? The library is just taking up space and nothing more. It would serve better to break the building down to make a field to play on (which we seriously lack in Dhaka) and that would attract more prospective students. However, that is not the case because back inside of the minds of their educators, the value of libraries is still there – however rusty that is. 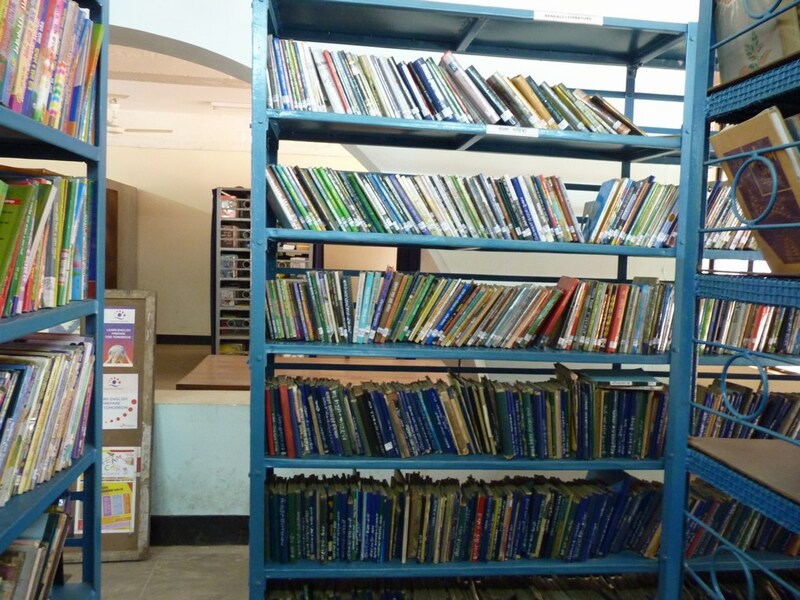 The Dhaka University Library (established in 1921) has around 6 lacs 80 thousand books and magazines currently. Besides that, the library has about 30,000 rare manuscripts, 20,000 old and rare books and large number of Tracts (booklets, leaflets, pamphlets, and puthis). The manuscripts and tracts are a novel attribute of the oldest library of Bangladesh. Even though it is one of the most promising collections in South Asia, the question is: how much of it is being utilised? Tanvir Alam, a student of Applied Physics in Dhaka University said, “I do not have a library card (even after studying here for three years) since I do not need to go there to borrow books; but we go there for discussions sometimes.” That is not necessarily a criticism on the library because students are bound onto the framework so hard that it is not possible for many to have the luxury of reading materials that the heart wants (outside the curriculum). 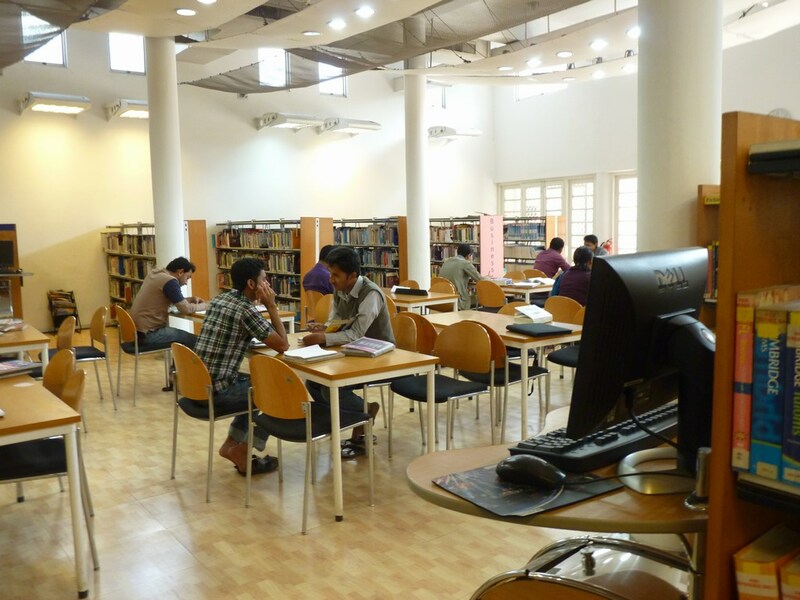 Moreover, the Dhaka University Library also offers modern facilities like internet and online journals. 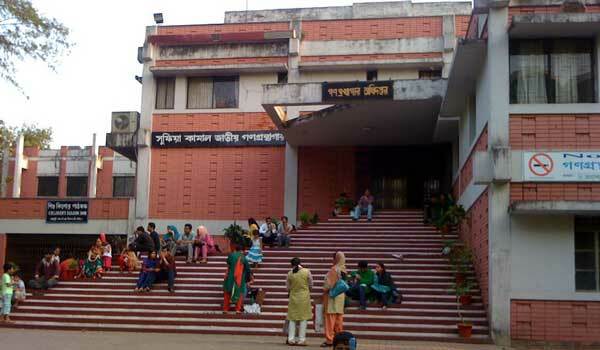 However, Mahmudul Karim, a student of department of Economics asserted “I do not say the online functionalities do not work but they are often out of order; so we use our professors’ subscriptions to get journal entries to bypass the library.” Thus, the Dhaka University Library stands for the vintage style of traditions with all its pride leaving most of its students unaffected even though they have brought in innovations. As for private universities, like that of North South University – scenes are the opposite but no better. They also offer impressive facilities and collections. NSU library houses above 40,000 books and 10,000 journals. Moreover they offer subscriptions to modern online journals such as JSTOR and IEEE Explore. Assistant Librarian M.M. Shoaib asserted, “We get over 2000 visitors in the library on a daily basis.” However, not everyone is there for studying up. 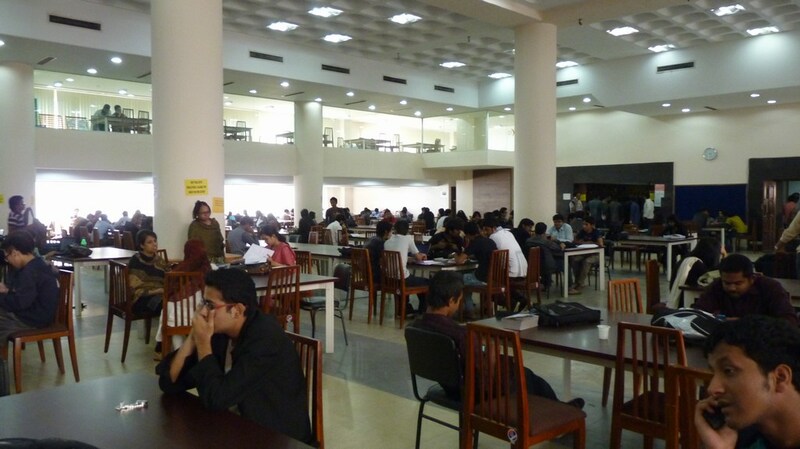 The largest response is in the study hall (one of floors of the impressive four storied library building) where the aim of the students is to discuss with peers. Pallab Mahmud, an alumni of NSU mentioned, “We used to go to the library mostly to download online journal entries and it is rare for us to borrow and read those books.” Thus, the claim appears to be completely contrastive to that of the student from DU. Renowned educator and Professor of English at NSU, Dr. Deena P. Forkan said in her interview with Dhaka Courier, “No educational institution can go without a library; it is an integral part of the system. However, the habit of studying has to be bred from an earlier time which happens to have failed in most cases in our country. More than 80% of the students do not even know how to use the library properly thus it should be taught as a part of education from the very beginning.” “The ‘revered’ degree that everyone seeks is merely a piece of paper and real knowledge can never be represented by the sheet of paper. For knowledge, you need the library,” she emphasised. Just as Dr. Deena Forkan asserted, the habit of knowledge acquiring rather than a degree should be bred from lower levels, it is relevant to look at the school libraries. 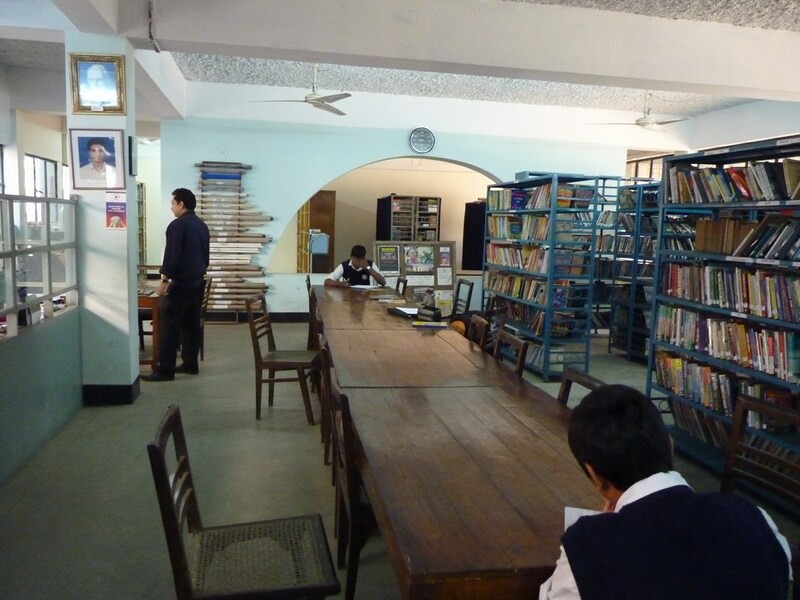 St. Joseph Higher Secondary School, one of the pioneering educational institutions in Dhaka hosts a library with around 11,000 books and magazines for the students. According to Chief Librarian, Sumon Poddar, “All the students are obligated to issue a library card in our school. Even though the response is not very high in itself, movements like ‘Book Reading Competition’ by the British Council and ‘Boi Pora Kormoshuchi’ of Bishwa Shahitya Kendra are carried out through our library.” Thus, third party organisations are playing a vital role in keeping the library culture alive asserting the true sense of education. Thus, the intention is present but the importance of the library seems to have been overshadowed by the culture of degrees and examinations. Apart from educational institutes, Dhaka offers several splendid libraries where the curious folk can go and explore the world of knowledge and literature. The first name that has to be mentioned is the Dhaka Central Public Library (founded in 1954). 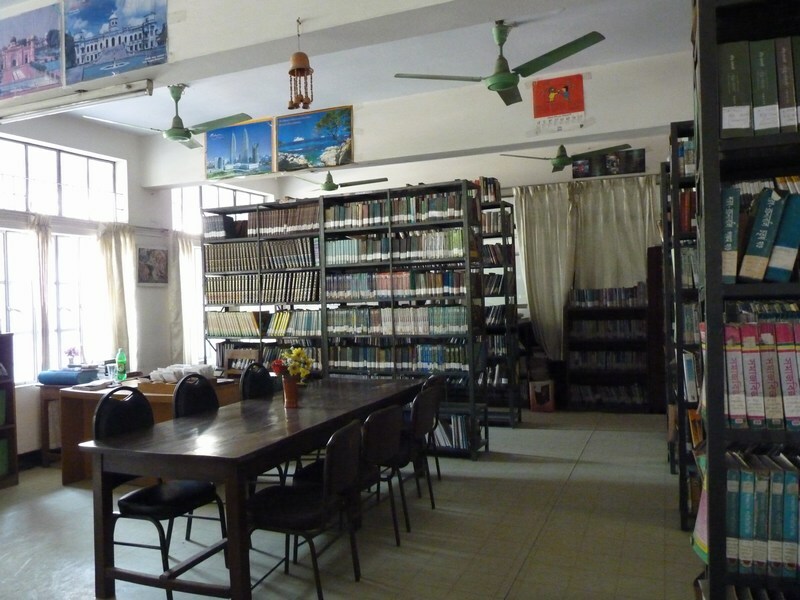 The Library has over 119,750 books in collection, including old and rare books, which is by far the largest among all independent libraries in Dhaka. However, it does not cater memberships; so people can go there, sit down and read for free but cannot borrow books. 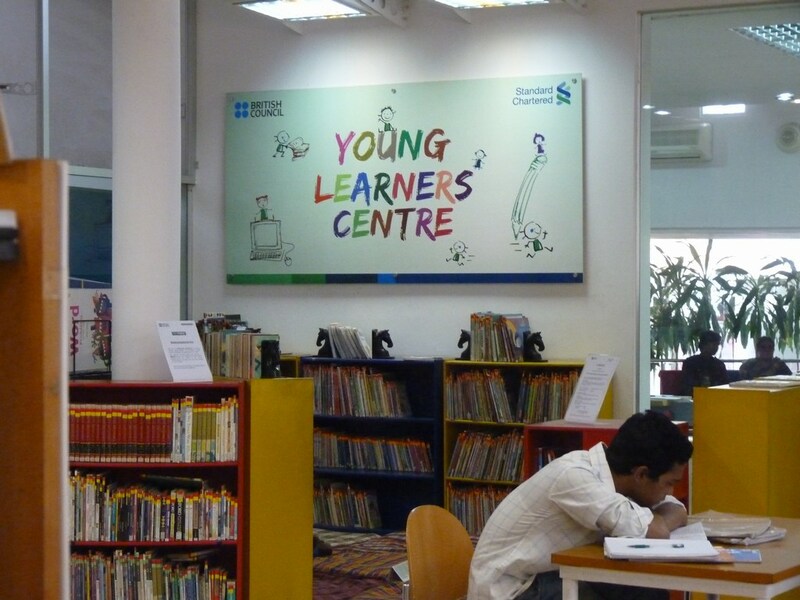 The next in line has to be the British Council Library (Resource Centre) at Fuller road. It has been ever popular from its inception. It houses more than 5000 books on literature, business, lifestyle, economics and history. The pricings of memberships are Tk. 700 (3 months), Tk. 1200 (6 months) and Tk. 2000 (a year). However, the primary reason for the place to be booming is not the goldmine of knowledge rather the fact that it is the primary resource centre for the students appearing for exams like IELTS or TOEFL. Abrar Hossain, a reader present at the British Council Library reaffirmed the statement. He also mentioned, “We do not have the luxury of reading illustrious materials because of the exams that we have to go through in the university.” However, that does not nullify the initiatives of British Council to promote informal education. They are the pioneering organisers of book reading programmes in Bangladesh. Another institution that takes its motto from the illumination of knowledge is the Bishwa Shahitya Kendra. By principle, it promotes reading habits, enlightenment and progressive ideas among students and general public. It was established by famous writer, television presenter, organizer and activist Abdullah Abu Sayeed. It has brought in immense innovation to the revolution of non-mainstream education. 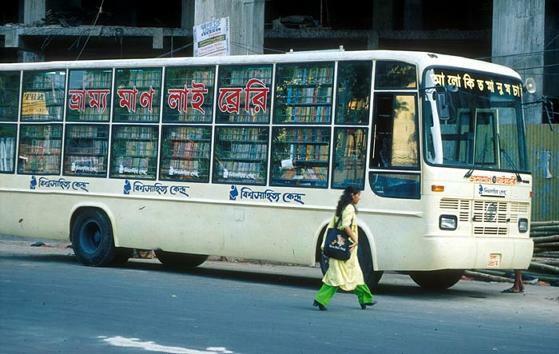 With the advent of ‘Bhrammoman Libraries’ (Mobile Libraries), Dhaka got to witness something that she had never seen before. Even though the response may not have been astounding, the step definitely deserves applause. In addition, ‘the Kendra’ organises school based reading competitions and other educational programmes that encourages students to think out of the box and gain enlightenment through knowledge. The ‘Kendra’ also facilitates memberships to its libraries for a nominal fee. With all these initiatives, it is clear that people, along with educators are aware of the importance of libraries when it comes to education or more accurately – enlightenment of citizens. Then again, most people complain that the formal framework restricts them from going to the library, making it an entity of novelty. Senior teacher of St. Joseph Higher Secondary School and acclaimed educationist Rehana Begum had some insightful perspectives. She mentioned, “Education is of two types – necessary and unnecessary. The library facilitates the ‘unnecessary education’. Ironically, the unnecessary education (that does not award degrees) is where the real knowledge lies.” “Proper education is not a piece of paper that one earns after spending years in an institution; rather the degree is the means to an end of livelihood. Even though it fills the belly, it doesn’t necessarily enlighten the soul,” she asserted. Thus, she reaffirmed the flaw of the framework of institutionalised education that constricts a free soul. It would be rather callous to blame the education system or the people solely for not having the proper grip of the definition of education given that today’s world asks for formal paperwork to justify one’s capabilities. The contemporary ‘Aroj Ali Matubbar’ (the self learned intellectual from the early 20th century) is a concept of fiction. Then again, enlightenment is right here in town. It is for us, the people (students to retirees) to be aware of the resources and to utilise them.